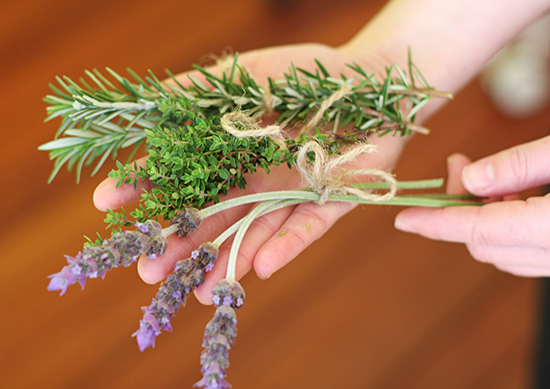 Every morning the girls from the Garden spa gather fresh herbs from the garden. 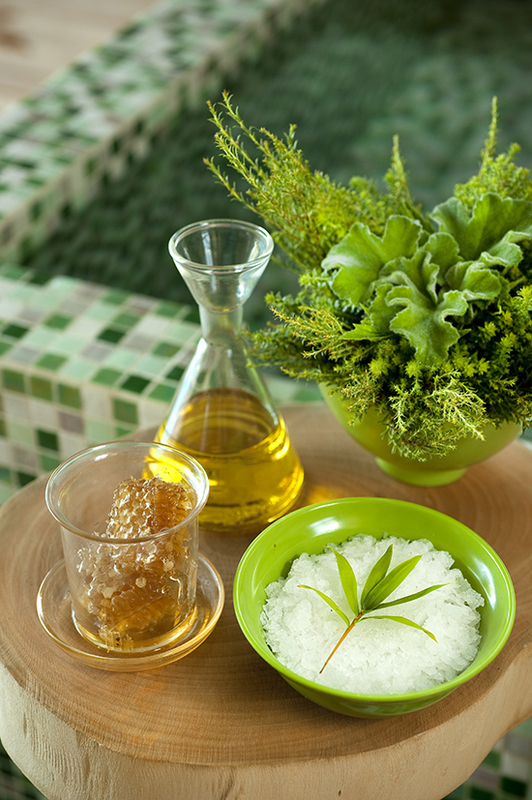 They collect rosemary, lavender and lemon-thyme, each herb chosen for its unique properties. Lavender soothes and heals, a wonderful relaxing herb. Lemon-thyme is an aromatic and decongestant herb with a strong lemon scent while rosemary stimulates blood circulation and the metabolism. Tied together, they become our voetbossies, used in a special foot ritual before every treatment. 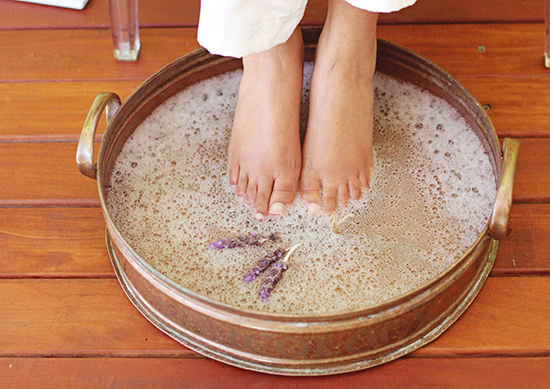 While relaxing with their feet in some warm foot soak, guests smell and touch all the herbs. Through the use of these senses a specific voetbossie will be picked and placed in the foot bath. This ritual before a treatment is a simple way of introducing the therapists touch and let our guest feel grounded and relaxed. 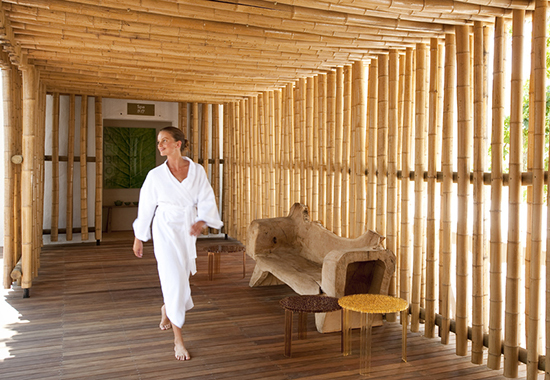 For more on our Garden spa or to make a booking , please visit here.